The 2019 Mercedes-Benz E-Class is almost a completely new lineup compared to that of 2018. Several trims that appeared with the 2018 E-Class have been replaced by more robust trims for 2019. Mercedes-Benz has made several changes to both the interior and exterior of the 2019 E-Class line of vehicles. Drivers can feel this change through the brand new Nappa Leather steering wheel that gives nearly full control of the car's entertainment system at the click of a button. There have been two new interior trims that have been added as options for 2019. Both the Night Package and the Rear Safety Package include a 19-inch AMG steering wheel. 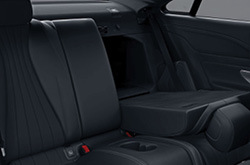 Both packages come with center consoles that match the pattern of the package and are now available for the E-Class Sedan. What are the Trims & Features of the Mercedes-Benz E-Class? There are several different trims available for the 2019 Mercedes-Benz E-Class family of vehicles. 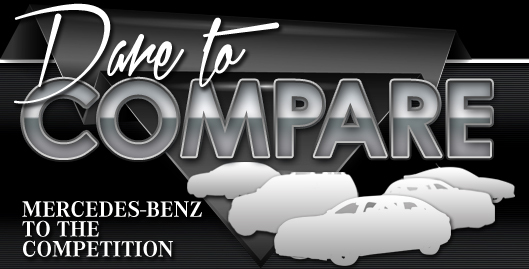 The E300 and E300 4MATIC Sedan share the same engine options but have different styling. 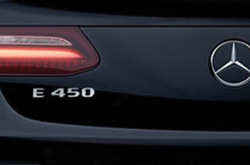 The E450 4MATIC Sedan, E450 Coupe, E450 4MATIC Coupe, E450 Cabriolet, E450 4MATIC Cabriolet, and E450 4MATIC Wagon also share the same engine options. The 2018 E400 and E400 4MATIC variants have been replaced by the E450 and its variants for 2019. The new E450 has several new features that reflect the upgrade from the 2018 E400. Key differences between the many trims have to do with their styling, options, and capabilities. Mercedes-Benz has built two new engines for the 2019 E-Class that are more powerful than the engines used in 2018. The turbocharged 2.0-liter inline-4 cylinder engine that is included in both the E300 and E300 4MATIC Sedan generates 241 horsepower and 274 pound-feet of torque. The more powerful twin-turbocharged 3.0-liter V6 engine that is included in the several variants of the E450 produces 362 horsepower and 369 pound-feet of torque. The smaller 2.0-liter inline-4 engine is capable of achieving 21 miles per gallon in the city and 30 miles per gallon on the highway. The larger 3.0-liter V6 engine can achieve 20 miles per gallon in the city and 28 miles per gallon on the highway. The many safety features of the 2019 Mercedes-Benz E-Class can all be accessed through the new Nappa Leather steering wheel. The safety suite of the E-Class has continually been in development since its initial debut in the 2016 Mercedes-Benz E-Class. Mercedes-Benz has continued to offer new features on the line of cars every year since 2016. There is a new Rear Safety Package offered for the 2019 E-Class that contains rear seat side airbags, among a few other safety features. Adaptive high-beam assist is included on the E-Class Cabriolet to aid drivers during dark situations. Whereas the majority of the E-Class lineup performs on a rear-wheel-drive platform, the 4MATIC line of vehicles are all-wheel drive. This advantageous feature on the 4MATIC allows for the vehicle to remain in better contact with the road under slippery conditions.